Debates about global justice have traditionally fallen into two camps. Statists believe that principles of justice can only be held among those who share a state. Those who fall outside this realm are merely owed charity. Cosmopolitans, on the other hand, believe that justice applies equally among all human beings. On Global Justice shifts the terms of this debate and shows how both views are unsatisfactory. 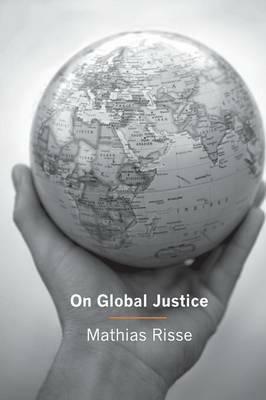 Stressing humanity's collective ownership of the earth, Mathias Risse offers a new theory of global distributive justice--what he calls pluralist internationalism--where in different contexts, different principles of justice apply. Arguing that statists and cosmopolitans seek overarching answers to problems that vary too widely for one single justice relationship, Risse explores who should have how much of what we all need and care about, ranging from income and rights to spaces and resources of the earth. He acknowledges that especially demanding redistributive principles apply among those who share a country, but those who share a country also have obligations of justice to those who do not because of a universal humanity, common political and economic orders, and a linked global trading system. Risse's inquiries about ownership of the earth give insights into immigration, obligations to future generations, and obligations arising from climate change. He considers issues such as fairness in trade, responsibilities of the WTO, intellectual property rights, labor rights, whether there ought to be states at all, and global inequality, and he develops a new foundational theory of human rights. Mathias Risse is professor of philosophy and public policy at the John F. Kennedy School of Government at Harvard University.